Gavin Newsom dived into the highly charged debate over prescription drug prices in his first week as California’s governor, vowing action on a topic that has enraged the public but has proved resistant to easy fixes. The state would bring to the bargaining table not just the 13 million beneficiaries of Medi-Cal (California’s version of Medicaid), but also other state agencies that purchase drugs, including coverage for state workers and prisoners. Down the road, the plan could possibly allow private insurers and employers to join in the savings. The proposal has drawn attention, and not just because California is the most populous state. It carries echoes of progressive talking points in Washington, where, just this week, a group of mostly Democratic lawmakers reintroduced a bill to allow the federal government to directly negotiate the price of drugs under Medicare. That proposal was one of a flurry of new bills aimed at drug prices. But like many other ideas to reduce them, Mr. Newsom’s proposal isn’t so simple or pioneering. For years, states have banded together to increase their leverage. Some aspects of Mr. Newsom’s proposal will require legislative approval. Others could require hard choices, like limiting access to some drugs. A spokeswoman for the Pharmaceutical Research and Manufacturers of America, the drug industry’s main lobbying group, said it was awaiting more details about the proposal. Mr. Newsom’s decision, in one of his first actions, underscores how strongly the issue of drug costs resonates. Americans consistently rank them as one of their biggest health care concerns, and President Trump has made the topic a focus. California has also tried to address the issue before. In 2016, voters defeated a measure — opposed by the drug industry — that would have prohibited the state government from paying more for drugs than the federal Department of Veterans Affairs, which gets mandatory discounts from manufacturers and negotiates for even steeper ones. In 2017, California passed a law that would require drug companies to give notice if they raised prices above a certain amount, a measure that the industry is challenging. 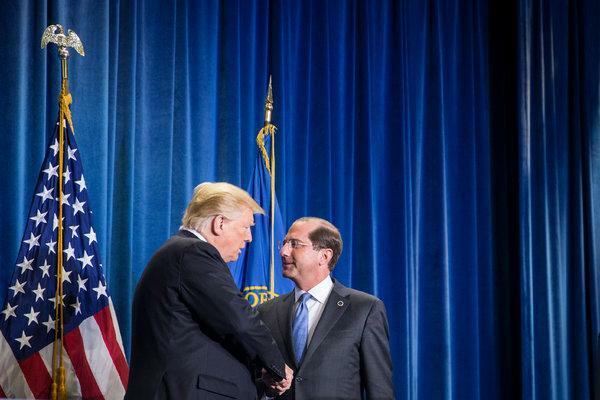 “The momentum really hasn’t slowed, and we are likely to see states continuing to push, to look for ways to help manage drug costs,” said Dr. Steven D. Pearson, the president of the Institute for Clinical and Economic Review, which evaluates the cost effectiveness of drugs. Health experts said the main part of Mr. Newsom’s proposal — consolidating drug coverage for Medi-Cal beneficiaries — would be relatively straightforward and most likely save money. California has the country’s largest Medicaid population, but drugs for all but two million are covered by managed care plans, which are operated by private insurers that must negotiate with drug makers on their own. The hope is that pooling all the Medicaid recipients can lead to better deals. Under federal law, state Medicaid programs already get a rebate of at least 23 percent for prescription drugs. But many states, including California, negotiate for additional discounts. Several states already do what California has proposed, “carving out” some portion of their drug benefits and directly negotiating with manufacturers rather than allow their managed care plans to do so, according to the Kaiser Family Foundation. “I think it’s an example of what states can do now, under current law,” said Edwin Park, a research professor at the Georgetown Center for Children and Families. But simply banding together won’t solve every problem. Medicaid programs, including in California, have instead imposed restrictions on certain drugs — such as requiring prior approval, or that another drug be tried first — to negotiate additional discounts. Massachusetts recently applied to the federal government for permission to limit the number of drugs its Medicaid program covers, but its request was denied. Nathan Click, a spokesman for Mr. Newsom, said that while the details were still being worked out, the plan could save up to $150 million in its first year and as much as $250 million in later years. Mr. Newsom’s executive order also directs the state to study how California’s disparate agencies, including those that pay state employees or buy drugs for prisoners, could negotiate jointly. It also orders officials to develop a plan for how private insurers and employers could benefit from the bulk purchasing deals negotiated by the state. That would require legislative approval, Mr. Click said. Dr. Pearson said the fact that Mr. Newsom addressed drug prices on his first day in office showed what a priority it was.